Xi Jinping needs to hear that religious freedom is the only way to stop self-immolations. When Kal Kyi, a 30-year-old mother of four, set herself on fire in March to protest Chinese repression of Tibet, she joined a grim and growing fellowship of despair. Over the past four years, 112 Tibetans have immolated themselves in protest against Chinese oppression. Tibet is burning, and the world community, including the U.S., must speak out. China's new president, Xi Jinping, and the rest of its leadership must be persuaded that its interests lie with respecting human rights, particularly freedom of religion, and to restart discussions with Tibet's exiled leader, the Dalai Lama. Unfortunately, persuading Beijing is no simple task. China's rulers have dug in their heels on Tibet as self-immolations continue to mount. They have expanded repressive measures while accusing foreign forces of fueling Tibetan grievances. There remains an extraordinary disconnect between how China and the rest of the world view Tibet. While other nations see desperate protests by a pious and devoted people, Chinese leadership sees its enemies conspiring to disrupt "harmony" and wrest control of the country's remote southeast. Beijing blames the Dalai Lama for instigating the protests. World leaders should counter Beijing's contention that Tibetans, a mere 0.5% of the population, threaten the power of wealthy and militarily secure China. A domestic armed rebellion has no realistic prospect of success and no outside force threatens to invade China. The U.S. and the international community recognize China's borders. The Dalai Lama continues to call for greater Tibetan autonomy, not independence. Chinese actions have widened the gulf between the government and Tibetans in recent years. After protests erupted in Lhasa in 2008, Beijing redoubled its efforts to control Tibetan religion, including the selection of Buddhist religious leaders. Hundreds of monks and nuns languish in jail cells for the crime of peacefully resisting this attempted hijacking of their faith. Self-immolation protests began in 2011 with the monks of Kirti monastery, located in a Tibetan area of Sichuan province. 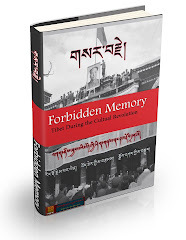 Their acts were meant as a reply to the ramped-up police presence at their monastery, growing control of their religious affairs and increased efforts to destroy their allegiance to the Dalai Lama. This form of protest has spread throughout China and into countries like India and Nepal. In response, China has clamped down on satellite communication, restricted usage of flammable materials, tightened control over monasteries and increased police activity at religious sites. Last month, the government also enacted a law that equated assisting in a self-immolation with murder. In February 2013, five Tibetans were arrested and face long prison terms for alleged incitement of immolation protests. 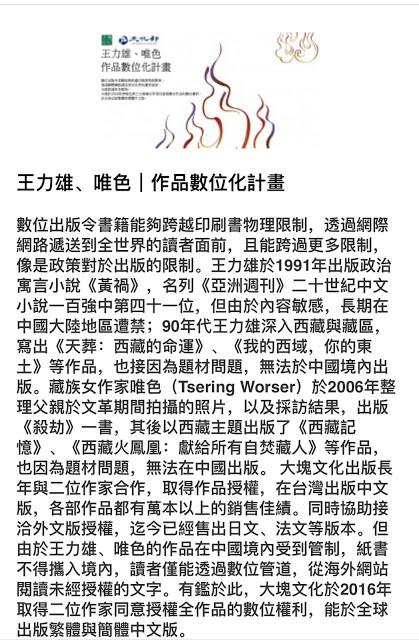 In other words, faced with a rise in self-immolations, China's leaders responded by redoubling the kind of repression that triggered these actions in the first place. Far from stabilizing the region, their policies have deepened Tibetans' hopelessness and despair. Self-immolations have increased over the past six months, and have spread from monks and nuns to young Tibetans like Kal Kyi. With no end in sight, it is time for the U.S. and other major powers to express plainly to China their deep concerns about its abuses. China cannot hear about global concerns over Tibet occasionally, nor can public meetings with the Dalai Lama and his representatives be avoided if China is to understand that renewed negotiations over Tibetan autonomy are in its interest. Leaders of free nations should confront Xi Jinping with the fact that Beijing's Tibet policy is a colossal failure. Repression at home damages China abroad by tarnishing its global image. Silence is inexcusable. We must consistently and persistently call for Beijing to uphold religious freedom for the sake of human rights and stability alike. President Xi must hear repeatedly from U.S. President Barack Obama and other leaders that China's policies ignore mounting evidence that freedom, not repression, creates peaceful and prosperous societies. Such societies are secured by honoring the dignity and worth of people, empowering and encouraging their participation in civil society, protecting their liberties in law and practice, and allowing them the fundamental right to practice their faith and live their lives according to their conscience. In a country as vast, diverse and globally engaged as China, lasting stability is impossible when people are denied religious freedom. If Beijing guarantees freedoms for all, from Tibetan Buddhists to Uighur Muslims, and from Christians to the Falun Gong, it will help, not hinder, China's quest for security. —Mr. Abrams and Ms. al-Hibri serve as commissioners for the U.S. Commission on International Religious Freedom.